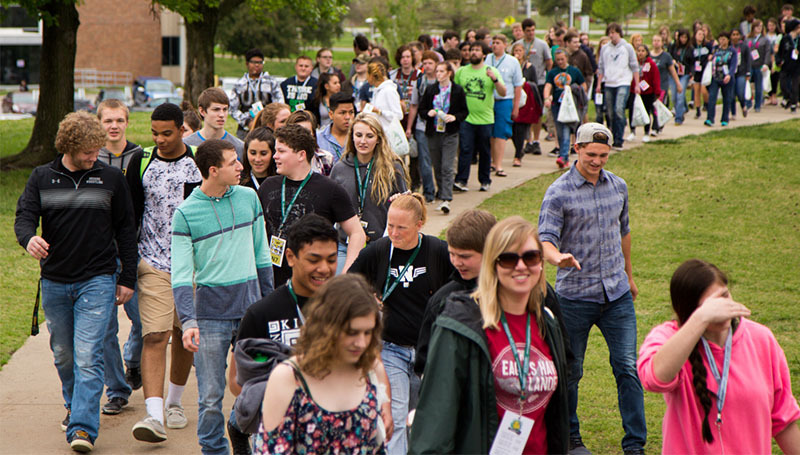 Nearly 1,200 high-school sophomores from around the area will gather for the fourth annual Sophomore Day event on Tuesday, April 3, at Missouri Southern State University. This year’s event will include students from Webb City, Neosho, Monett, Aurora, Clever and Galena, Kan.
More than two dozen stations will be offered across campus for students to learn more about the wide variety of degree programs and opportunities available at the university. Faculty and staff members will be available at each of the stops to offer brief presentations. Opening ceremonies will begin at 8:15 a.m. in the Leggett & Platt Athletic Center, after which students will split into groups to begin tours. Closing ceremonies will start at 1:45 p.m.